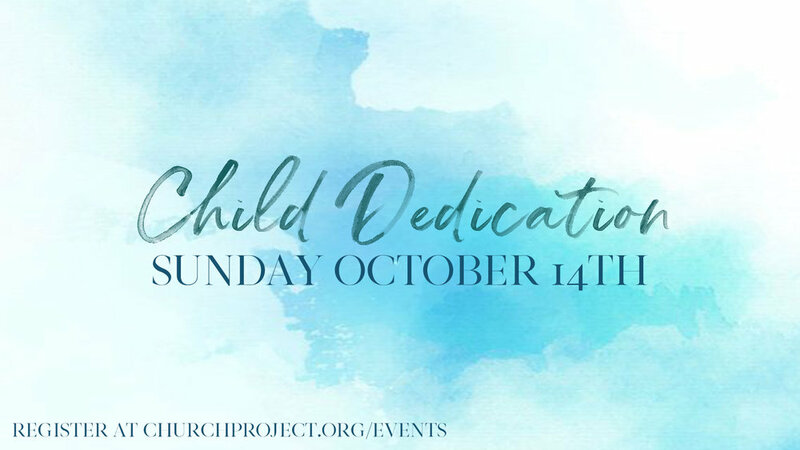 Child Dedication is a special service of prayer & commitment between parents & children, before God and their church. By dedicating a child, a parent vows to follow God's plan in Scripture for raising children and to lead their child to love and follow Jesus. Parents will make a commitment, and we will pray publicly over the child and family during the main auditorium gathering. A more in depth ceremony will take place in the lounge following the main gathering and will focus individually and intentionally on each child and family. The lounge is where you will receive your child's dedication certificate, a gift from Church Project, read a letter to your child, and have photo opportunities. In an effort to make this ceremony a meaningful experience for families, we have provided tools to prepare parents for the event. After registering a child, parents will complete a series of short, simple assignments that create an opportunity to reflect & pray for this special day.